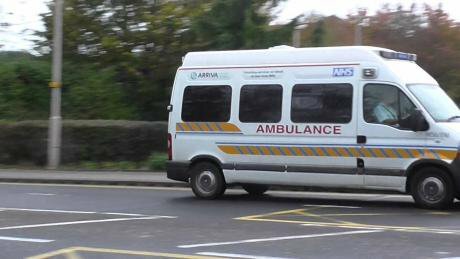 When Arriva doesn’t arrive – how privatised ambulances are failing us. And so, I read to fill the time. I read about the company that many local NHS managers (including here in Gloucestershire) have contracted to provide patient transport. I read with bemusement about their commitments “to the highest quality of care” and about how patients “inspire” them “to achieve excellence”. I laughed to myself about how this failed to tally with my experience. I also started to read alarming numbers of patient testimonies describing being let down by them. About how the most vulnerable were being left for hours with no adequate care. That morning I had sat by myself for hours as my Dad failed to show up for his appointment. He was coming from Cirencester, less than half an hour’s drive away, but finally arrived close to 2 hours late. Arriva’s patient transport ambulance service had picked him up 15 minutes after his appointment time and then proceeded to pick other patients up on the way meandering through Cotswold villages. In that time, I rescheduled his appointment, twice. The receptionist was wonderfully understanding yet deeply scathing about Arriva. She gave me their direct number saying that the dispatch office of Arriva no longer listened to her. “It shouldn’t but it happens all the time. Where we can we will always try and fit people in. Often, I end up having to book patients taxis. It’s not right that people should have to wait around like this” she said. After the appointment was over Arriva informed me that they were, once again, running late. I rang them directly. They apologised over the phone to me and said that there would be an hour delay in getting my Dad picked up. This was at 12:15, about the time I had originally agreed to take over looking after my 5-month-old baby, and about one hour after my 2-hour parking ticket had run out. I rang at 1:30 to be told they would be there by 2:00. I rang at 2:15 to be told they would be there by 2:30. I rang at 2:45 to be told they would be there by 3:00. When they did arrive, they apologised for being late by saying “we weren’t sure which department you were in”. I didn’t quite have the emotional energy to respond. I had arrived that morning at 10:30 to support my Dad through a 5-minute routine appointment. I was leaving close to five hours later. This chimes not only with the experience of the NHS staff who I spoke to, but also one of the official records. Last year in July members of Gloucestershire County Council’s Health and Care Overview and Scrutiny Committee told Arriva its performance was not good enough. One local councillor commented that “Arriva have patently failed in a number of areas and it simply isn’t good enough”, adding “[The] report is full of excuses”. I write this now not just because my own experience was awful but because it fits into a wider pattern. Not once since Arriva Transport Ltd took the Gloucestershire NHS contract for non-emergency patient transport have they hit their own target of 95% of patients being dropped off between 45 minutes before and 15 minutes after their appointments. Pause on this point for a minute. Even if they had hit their targets, 1 in 20 patients would not be dropped off within an hour slot of their appointments. Can you imagine the logistical and financial impact this is having? This article was cross-posted from Steve Hynd’s blog.